24/01/2018 Lesjöfors in Denmark was appointed Company of the Year 2017 by Bröndby community, where the company has a manufacturing unit. Lesjöfors was awarded for the many years of social commitment providing internship for unemployed citizens. Bröndby community provides a Job Center where people who of different reasons are unemployed can get help to find a way to a job. Since 2012, Lesjöfors cooperates with the Job Center and provides internship for up to four individuals at a time where they can get work experience and learn new skills. About 60 people has been in internship over the years for a longer or shorter period. Some of them has been given the opportunity of an employment in Lesjöfors. 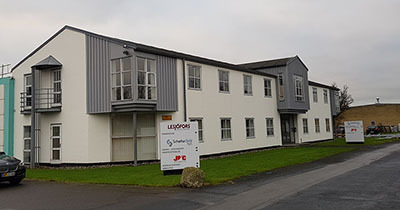 Lesjöfors in Bröndby specializes in the manufacture of pressings and wire springs in diameter dimensions ranging from 0.3 to 5.0 mm. For the great social commitment Lesjöfors was awarded Company of the Year 2017 by Bröndby community. The prize is handed out by the mayor at a ceremony in the town hall on January 25 2018. “We are very pleased by this award and see a great advantage in contributing to the development of the local society where we operate in cooperation with the community. Helping people to get back in the workforce doesn’t only help the individual, it also gives us a great opportunity to find suitable workers for our company”, says Tue Jensen, MD for Lesjöfors in Bröndby. Corporate social responsibility is an important corner stone in Lesjöfors´ business strategy and the company follows a Code of Conduct, formed together with Lesjöfors´ owner company Beijer Alma. Commitment in the communities where we operate is a vital part. Learn more in our CSR policy (pdf) about our view on sustainable, profitable growth.